Give your younger learners the support they need to remember their letters and sounds. 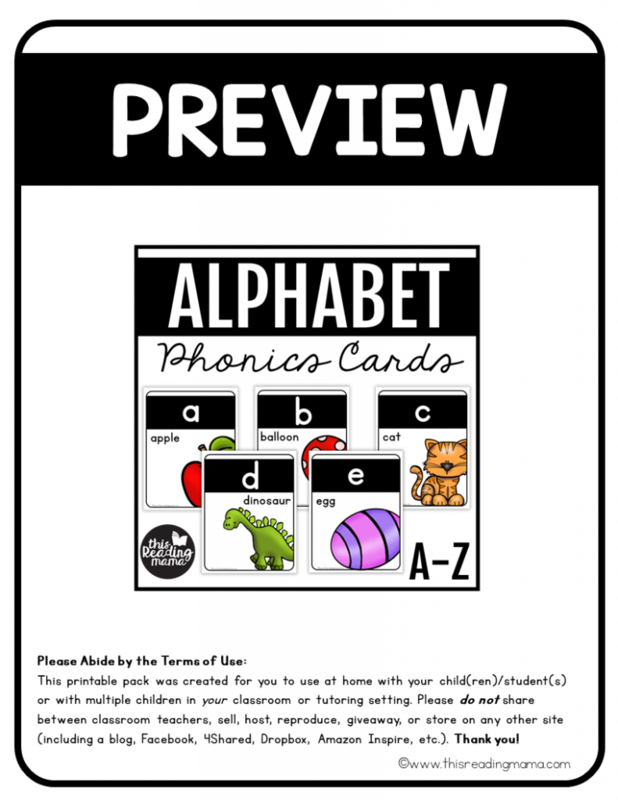 You’ll love these simple Alphabet Phonics Cards! They’re perfect to hang on your wall or use for flash cards. Teaching preschool or Kindergarten? 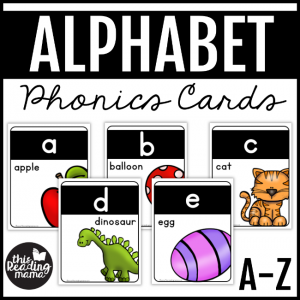 Then you’ll love these alphabet phonics cards! Three sizes are available: 1-full-page size, 2-half-page size, and 3- flashcards. All phonics cards come in color and in blackline. See our sample pages by clicking HERE or on the image above. These alphabet phonics cards are a part of our Phonics Cards MEGA Bundle Pack! 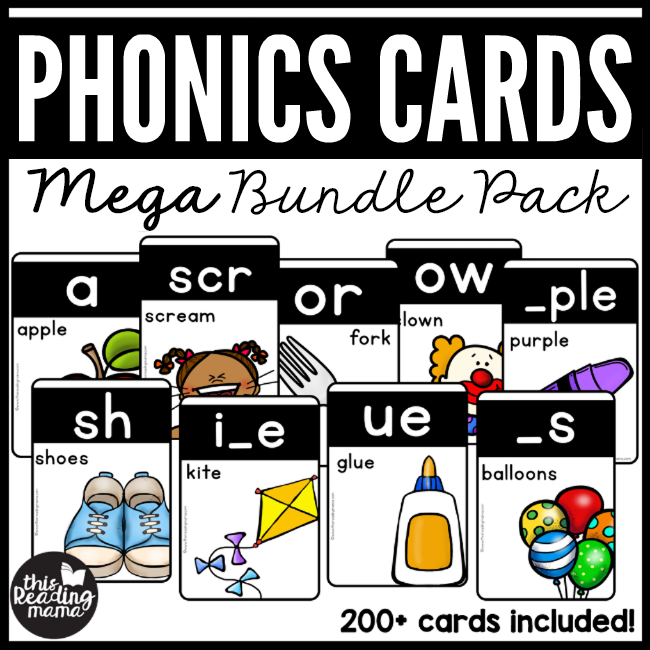 Grab all 200+ cards from the ABC’s to Affixes in this comprehensive bundle.